In my report on Azaz, I had originally put the date of the fitna between Ahmad Obayd, who established the original Liwa Amru ibn al-Aas and Jaysh Muhammad in collaboration with Egyptian foreign fighter Abu Obayda al-Masri (AKA: Abu Obayda al-Muhajir), in November 2013. This now appears to have been a simple confusion in testimony. With similar brand names, the extent of localization etc., a degree of confusion on the ground over the facts is understandable. It actually makes much more sense to put the split around a year earlier, which explains the subsequent open source data much better (e.g. why in 2013 each man used his own Jaysh Muhammad seal in competition to claim the brand for himself). "Jaysh Muhammad in Bilad al-Sham": Abu Obayda al-Muhajir. "Jaysh Muhammad: Liwa Amru ibn al-Aas": the seal of Ahmad Obayd. Here is an article just published by Northern Storm's spokesman Abd al-Qadir Abu Yusuf that gives an even fuller account of the development of Jaysh Muhammad. It is worth translating in full, as I have done so below. The article also touches at some length on Jaysh Muhammad's alleged relationship with IS. It is certainly fair to note that Jaysh Muhammad did not aid Northern Storm in the battle with IS and Jaysh Muhammad's policy fits in with the general approach of non-Nusra/Ansar al-Islam muhajireen battalions to avoid fighting IS. With al-Masri, it's an obvious question of why he does not simply merge with Jabhat al-Nusra if his allegiance is to al-Qa'ida leader Aymenn al-Zawahiri as he has supposedly claimed. We have come to implement the ruling of God's law and wage war on the idolatrous tyrants! These were the first words that Abu Obayda al-Masri said on his entry into Syria. 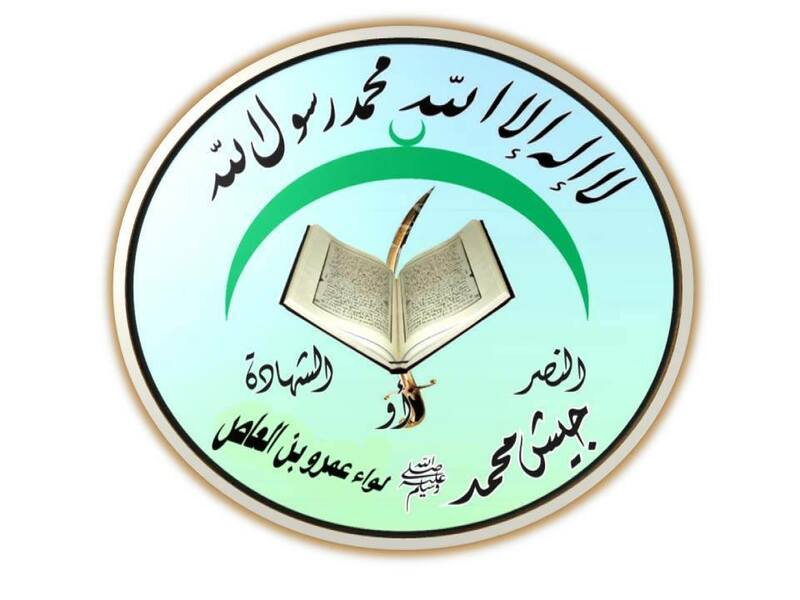 With the intensification of the battles at th furthest end of the north Aleppo countryside and especially in the town of Azaz in April 2012, the first opportunity for the entry of contingents of muhajireen into Syria was the Liwa Amru ibn al-Aas under the leadership of Ahmed Obayd known as 'Ustadh'- the only faction wearing the cloak of Salafi jihadism in the area. And it was the first one to have embraced the muhajireen [foreign fighters] and let loose their hands in the camps for recruiting rebels. 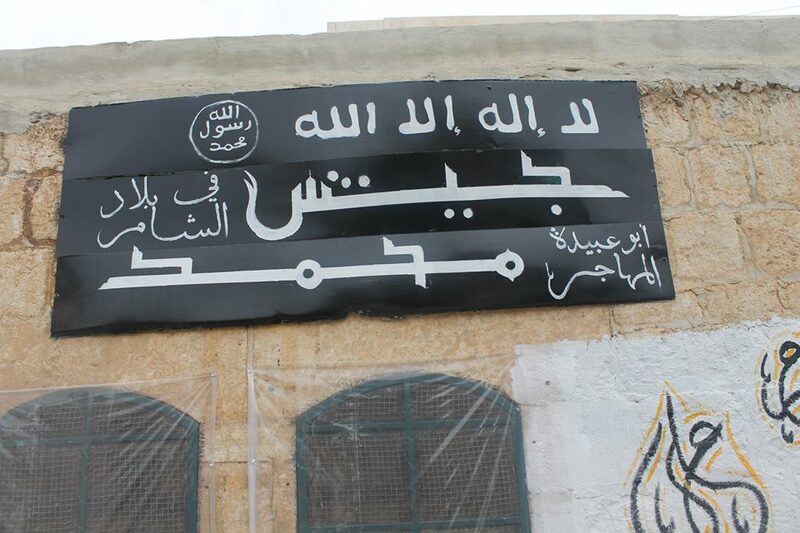 Abu Obayda al-Masri set up the first jihadi training camp in the north Aleppo countryside in the middle of May 2012 under the banner of Liwa Amru ibn al-Aas. Some of the rebels who came into his camp mention that among those being trained in the camp were 'Qasura the Libyan'- one of the IS leaders today- and 'Okrama the Libyan'- one of the Shari'a officials of IS. Also they say that they pronounced apostasy judgment against Ammar Dadikhi- the leader of the Northern Storm Brigade at that time, claiming he did not implement God's law. Abu Obayda al-Masri continued recruiting under the banner of Liwa Amru ibn al-Aas until the end of December 2012, when he announced his defection from Ahmad Obayd's ranks in the name of 'Jaysh Muhammad in Bilad al-Sham': the same name that Ahmad Obayd adopted for his remaining formation. Jaysh Muhammad [of Abu Obayda al-Masri] got involved on the surroundings of Mannagh airbase in April 2013 under the banner of Jaysh al-Muhajireen wa al-Ansar under the leadership of Omar al-Shishani- which led to great affinity between it and the IS group after Shishani's pledge of allegiance to the group, though IS did not give Jaysh Muhammad any of the spoils of Mannagh airbase after its liberation. Jaysh Muhammad remained in the town of Azaz after IS seized control of it, and its fighters took control of some of the areas IS had seized from the Free Army on the peripheries of the town like the al-Shatt checkpoint on the Afrin-Northern Storm camp intersection because of IS' lack of numbers for that and their lack of ability to cover those areas. Also Jaysh Muhammad was virtually entrusted with some of the IS vehicles that IS had taken from the Free Army in the area- and bearing witness to that are the civilians and some of its members who later defected. Abu Obayda al-Masri and Omar al-Shishani tried to intervene to mediate in a bid to resolve the conflict between Northern Storm and IS. They pledged to fight the aggressor, but this was nothing but a signature on paper, since Abu Obayda al-Masri was absent from the scene after IS' attack on Northern Storm's camps on Jabal Barsaya north of the town of Azaz. 1. Abu Obayda al-Masri was to undertake to hand over all the bases and checkpoints of Northern Storm that he had taken during the time of IS' rule. 2. He acknowledged his failure to support the oppressed in the IS-Northern Storm war and he excused that by the lack of his ability to confront IS. 3. Abu Obayda pledged to return 40 rifles to Northern Storm- he had pledged to return them from the group [IS]. Abu Obayda al-Masri remained with around 100 of his fighters in the town of Azaz after IS left, and he tried to interfere in the Shari'a matters of the town and their ruling, and he began to propagate his faction's ideas over the minbars of the mosque and in da'wah circles. And he began to propagandise against the rule of the Islamic Front [IF] in the town and Northern's Storm joining under IF's banner, charging that it was ruling with man-made laws of the moment and not God's law. Incidents between the factions of the Free Army and Jaysh Muhammad multiplied in the time between May and August 2014 after interferences from a number of members of Jaysh Muhammad in Azaz and its countryside and suspicions regarding Abu Obayda al-Masri's relationship with IS, and the fact that his faction was the only one that remained in Azaz during IS' rule, with some of its members having pledged allegiance to IS like Qasura the Libyan and Okrama the Libyan, and a battalion of the Tunisians composed of 15 members with 12.5mm machine guns. So Masri tried to bolster his position through a military bay'ah to Jabhat al-Nusra allowing for him to stay in the town but the alliance between the two came to an end of June 2014 after the arising of multiple problems that al-Masri had created in the town and his accusation against Nusra that it did not support him in implementing God's law in the areas of his [group]'s presence. In light of his conflict with Nusra and his preference for muhajireen over the ansar [latter= native Syrians] around 30 members- most of them Syrians- defected from Jaysh Muhammad and joined Jabhat al-Nusra. His faction's isolation increased with the rise of popular demonstrations that denounced the marshalling of his forces in the town that had facilitated regime air-raids on the town in the summer of 2014. After the development of the events in the north Aleppo countryside and IS' assault on 13 August 2014 on the northern countryside and its seizure of villages in the Azaz countryside [e.g. Dabiq], the Islamic Front gave Jaysh Muhammad three days to leave Azaz and its countryside, threatening to use military force in the event of disagreement. The Islamic Front feared the treachery of members of Jaysh Muhammad, their aiding IS' incursion into the north Aleppo countryside, and backstabbing the rebels in light of the friendly relationship between IS and Jaysh Muhammad. Thus it came to pass that Masri withdrew his forces from Azaz towards the locality of Hureitan and from there to the Syrian Sahel [Latakia] which is the welcome environment for the muhajireen factions. Finally to conclude the article we note that Abu Obayda al-Masri did not participate in the battles to liberate Azaz except for a few members [of his following] and it was his presence in the town that had brought about tension with the Free Army factions as he accused them of not implementing Islamic Law and collaborating with the West. Asked about his reason for lack of allegiance to IS, Masri said: "In my pledge of allegiance to Zawahiri I do not give allegiance to anyone except him."